In ancient times, the public face of campaigns began after Labor Day. In modern times, if an incumbent politician hasn’t crushed his challenger’s favorability by Labor Day, he or she is at best in for a nightmare contest, but very likely a new career. The ultimate practitioner of this earlier, more aggressive and very expensive strategy was Barack Obama. He began his attack on Mitt Romney in Colorado months before Romney was to be nominated. The goal was to make Mitt into an unsympathetic plutocrat. It mostly worked by July 2012. Today, it’s Cory Gardner who’s the target of Democratic independent committees and Udall’s own effort to drive up Gardner’s negatives before Labor Day. The current emphasis is a multi-million dollar ad campaign aimed at women using abortion and the Hobby Lobby decision to put Gardner on the defensive. It is accompanied by daily online campaign communications styled as media releases that attack on a host of issues. Also, the Internet is awash with ads calling Gardner an extremist. Polls in late August will be able to tell if the strategy is working. A new panel survey technique from YouGov with the New York Times and CBS has released results of a non-partisan, non-probability, but massive 100,000 respondent poll on the U.S. Senate and governor’s races. YouGov uses large panels of subjects selected by a non-probability technique (it’s a lot cheaper), but they weigh the data according to the U.S. Census Bureau and some assumptions about partisan turnout. There is a considerable argument about the validity of non-probability panels, but the data was published in the 2012 presidential election and compared well with published non-partisan surveys and the election’s final results. Although they show a 70 percent chance the Republicans will win the Senate, similar to the well-known New York Times forecasting model (60%), it shows Senator Mark Udall winning by 4 points over Congressman Cory Gardner, similar to the recent NBC/Marist polls (Udall up by 7), but different than PPP and Quinnipiac surveys showing the race within 2 points and Udall losing in one. 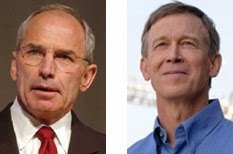 This survey shows Governor John Hickenlooper tied with Bob Beauprez, similar to several recent polls. Is Democratic Control of Legislature in Danger? The latest PPP poll asked a generic state legislative question and produced a 7-point Republican advantage. Probably the most impressive part of the Democratic and liberal strategy to become dominant in Colorado was its state legislative effort: recruitment, candidate guidance and funding. The Republican “wave” of 2010 helped them win the House by one seat, but Democrats won it back plus four more in the 2012 Obama presidential win. Can the Republicans turn the wave plus the controversial 2013 session and subsequent recalls and resignation into a one-seat win to take the senate, and less probable, but doable, produce a 5-seat win in the House? Democrats have leveraged pure campaign skill and massive amounts of money to fight well above their natural strength in the Colorado electorate. In 2014, Republicans will have some national advantages to level the playing field a bit. But, they will still have to win it seat by seat. The terrible tragedy of MH17, and Russia’s likely involvement, has created a moment where America and Western Europe, if they choose, have new leverage to pressure President Putin and the Russian governing elite. Putin has overwhelming support at home due to Russian pride from the Odessa annexation, reinforced by insecurity with encirclement and a generalized hostility to the West. It is all highly managed by a renewed propaganda operation reminiscent of the old Soviet Union, but far more sophisticated. However, even prior to the MH17 crises, Putin and Russian had little public support in Western and U.S. public opinion, and with only a few exceptions, the rest of the world had a negative view of Russia. Majorities or pluralities of national populations are recorded by Pew Research as having an unfavorable view of Russia and of Putin doing the “right thing regarding world affairs” (March/June 2014, 48,643 respondents in 44 countries). The survey was conducted prior to MH17, but post the annexation of Crimea, and among most countries, worldwide opinion of Russia and Putin wasn’t positive before the Crimea, it simply got worse, especially in the U.S. and Europe. Out of the 44 countries in the Pew study, negative views increased in 36 from 2013 and 2014. Negative views increased in the U.S. and Europe since 2013 Although German elites are reluctant participants in sanctions, their citizens have one of the most negative views toward Russia. In Ukraine, the negative opinion (60%) is up from 11 percent negative in 2011, the last time Pew asked the question. There are a handful of countries where majorities of the public have favorable views of Russia and belief Putin is doing the right thing. The shooting down of MH17 over the Ukraine’s unstable region will add consternation with Russia and Putin in most of the world. The latest poll from PPP, a Democratic firm who, like Quinnipiac, has a long track record in Colorado (if less rigorous methodology; i.e., robo and online), gives both incumbents a one-point advantage: John Hickenlooper and Mark Udall at 44 percent and their Republican opponents 43 percent each. But more ominous for Democrats is the down ballot numbers, which presage a Republican wave could be building that sweep the state constitutional offices below governor as it did in 2010. Republicans could also pick up legislative seats due to a 7-point advantage in the generic legislative ballot test. Could Democrats lose their legislative majorities? Most lobbyists, the top handicappers, don’t believe so. They are even skeptical Democrats will lose their one-seat majority in the State Senate. But, waves can do amazing things. The 1984 Reagan/Armstrong wave sent both Houses veto proof for Republicans, up from their previous majorities. I keep writing that Colorado incumbents don’t tend to be defeated (The Buzz: Colorado Polling Averages, 7-22-14) and then see polls that say, as of today, these two incumbent Democrats could definitely be beat. 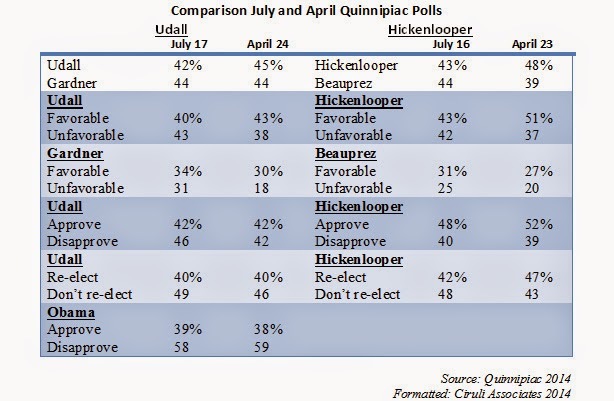 Comparing this poll to the Quinnipiac survey shows some similarities and problems for Hickenlooper and Udall. They will need very skillful campaigns and probably some luck to win. A one-percent advantage translates to about 18,000 votes, given expected turnout. So in spite of the Governor’s support among some of the business and civic community and the power of incumbency he is in a difficult re-election against Bob Beauprez. 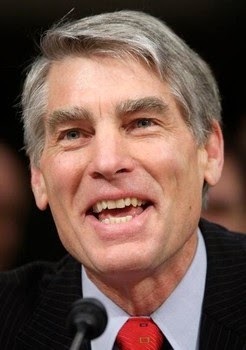 Udall has been in a tight race since Cory Gardner announced and has not gained any ground after a month and many millions spent in advertising on the Hobby Lobby and abortion issues. The Democrats’ problem is partially a reflection of the weak national brand and President Obama’s problems, but it also reflects Democratic mistakes over the last two years and a Republican recovery since the start of this campaign season. Although it’s 100 days away, as of now, the three statewide Republican candidates are crushing their Democratic counterparts by an average of 8 points, well beyond the margin of error. 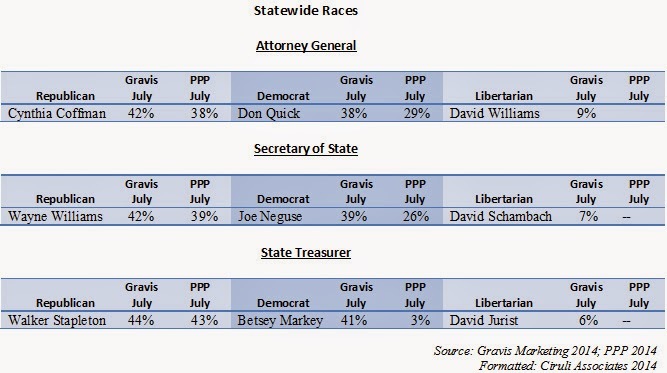 As we reported earlier (The Buzz: The Republican Midterm Advantage, 7-22-14), the three state constitutional candidates – Attorney General, Secretary of State and State Treasurer – are trending Republican and, if this poll is correct, it’s an indication of the across-the-board negative position Democrats are in. These races tend to be metric for a party’s advantage in an election. If Republicans work at it, Democrats could be swept from both houses of the legislature, but that requires overcoming several election cycles of Democratic superior candidate recruitment and campaigns. Generally speaking, if there was an election for the state legislature today, would you vote for the Democratic or Republican candidate from your district? Before the surge of children at the U.S.-Mexican border, public opinion on immigration had been mapped and looked reasonably stable. Democrats had the advantage with a majority of the public supporting immigration reform (a path to citizenship) and a passionate minority of Republicans believing any change (or even discussing reform) was amnesty and encouraged more migration north. The Central American surge has put Democrats on the defense. It shifted the discussion from citizenship to enforcement. Democrats are divided on welcoming the immigrants and sending them back. But, a majority of the public prefers a speedy process to send children back, which is why Colorado politicians, especially Democrats, are becoming very cautious with the issue. Mayor Hancock is welcoming some children to stay in Denver. His constituents will be supportive. Denver is the state’s largest and one of its most liberal cities, with a significant Hispanic population. The children also come with some federal money. But, the announcement was not rushed. And, Governor Hickenlooper delayed any statement about Denver’s action, and then offered minimal support on humanitarian grounds. Republican gubernatorial candidate Bob Beauprez and, in general, Colorado Republicans have been avoiding the immigration issue, a do no harm strategy, believing there was more to lose than gain bringing it up. But, the new environment provides them room to seek an advantage. Republicans are tied with Democrats as the party who can best handle this issue. And, it especially motivates them as a group. Nearly a quarter of Republicans said it was a top issue (Gallup 2014). The crisis shifts the discussion from the citizenship issue to a border and enforcement issue. The majority of Americans want a sped up process of deportation (53% Pew 2014), but Democrats are closely divided on the issue (47% current policy/46% speed up) whereas Republicans mostly supported speeding it up (60%). Since the humanitarian crisis began at the border (June 2 when the President first referenced it) and it became a feature of politic, such as in the Eric Cantor race (June 10), public support for immigration has been declining. Gallup reported: decrease immigration – 35% to 41% in 6 months, keep present levels – 40% to 33%. Somewhat surprising, the latest Quinnipiac Colorado poll shows that a majority of the public supports the U.S. Supreme Court’s Hobby Lobby decision. It carved an exception out of the Affordable Care Act (ACA) for family-owned corporations that have religious objections to providing free and subsidized contraception for employees as an ACA requirement. If you had been watching television political advertising the last few weeks or following Senator Mark Udall’s legislative activities, you would assume the public was overwhelmingly against the Hobby Lobby exception. But 50 percent of Coloradans support it and only 46 percent take the Udall position. But, a majority of women oppose it and Udall and his independent expenditure supporters are primarily targeting women. Although a majority of women oppose the decision, 43 percent agree. This finding is no doubt affected by the continuing dislike of the ACA (Obamacare) in general. But support for religious rights appears to have some resonance and the Democratic Party’s commitment to universal free and subsidized contraception as a right is not yet a valiance issue. Two-thirds (64%) of Coloradans support a right to an abortion, but a similar two-thirds (67%) accept some level of restrictions. Abortion remains a controversial issue with strong differences of opinion. However, it is not an issue high on the public worry list. A majority of the people is on the more liberal side of the issue (64%) and only 32 percent on the more conservative side. In terms of passion, 29 percent of Coloradans are in the most liberal camp and only 10 percent supporting the most conservative position. The expected advantage for Republicans in this midterm election is showing up most clearly in the state constitutional offices below the governor, where name identification is low and partisanship is the most important cue for voters. The entire Republican ticket is leading in a recent Gravis Marketing survey in Colorado by 3 to 4 points (7-8 to 7-10, 1106 voters, ±3, robo). Probably the party’s biggest challenge is libertarian candidates taking 6 to 9 point in close races. The early snapshots leave a lot of room for campaigning to change the picture, but, as of now, Republicans hold an advantage. 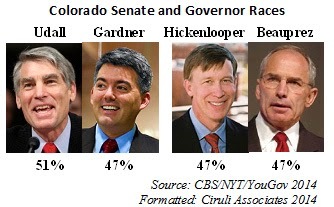 After a month of polls, Senator Udall remains ahead by a point and Governor Hickenlooper by slightly less than two in the Real Clear Politics average. Both Democratic putative frontrunners had to deal with the first credible poll that showed them behind – Quinnipiac, which has a long-track record in Colorado. The NBC/Marist poll was warmly received by Democrats, but felt like an outlier. Between margin of error and timing, it’s possible to see significant shifts, but a 7-point lead for Udall in mid-July appears excessive and would have to be confirmed by other polls. And, although the Governor had reported double-digit leads earlier in the year, a closer race is now reflected in a couple of polls (Quinnipiac and Rasmussen – tie). But, in this race, more data will be needed. The presumption remains that Hickenlooper has the advantage. Coloradans tend to re-elect incumbent senators (last incumbent senator (D) lost in 1978, a Republican lost in 1972) and governors (last elected incumbent (D) lost in 1962, appointed (R) in 1974). But in 2014, both incumbents are going to have to work hard to keep their jobs. on stage at Red Rocks Amphitheatre, July 16, 2014.
campaign appears to be on the way. Proponents only need to come up with about 30,000 signatures per week between now and August 4 to make their 86,000 valid signatures. It is costing a likely $200,000 per week to pay gatherers to get it done, but small change in this war. Big loser at this point is the Democratic Party. Governor Hickenlooper and legislative Democrats with business allies could not unite their own forces. And, not surprising, Republicans didn’t join since the disarray in the Democratic ranks is in their interest in November. Over the next three months, a media and public relations war will be waged between Democratic officeholders and candidates and the left-leaning and environmental base of the party. It won’t be pretty. Although each side will try to sound like they have reasonable arguments and solutions, environmental polluters and corporate lap dogs will likely soon be battling urban eco-extremists and anti-jobs trust funders. 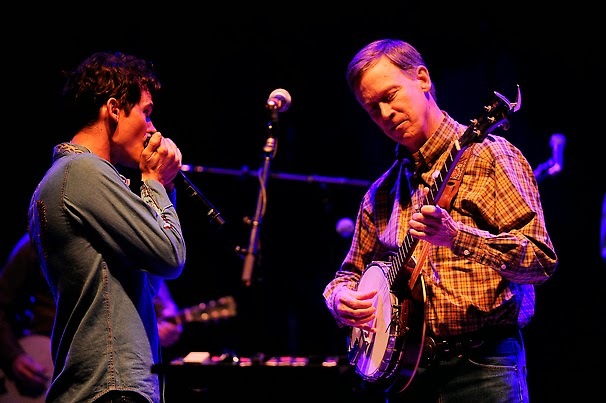 It’s a serious loss for Hickenlooper on a couple of fronts. The issue is also poised to divide Democrats in a contentious election year, with top-of-ticket candidates like Hickenlooper supporting the oil and gas industry despite strong sentiment against fracking among environmentalists in the party’s base. Ciruli says the danger for Democrats is not that some liberal voters will vote for GOP challengers, but that they will vote on the ballot questions and leave the big races like governor and senator blank. 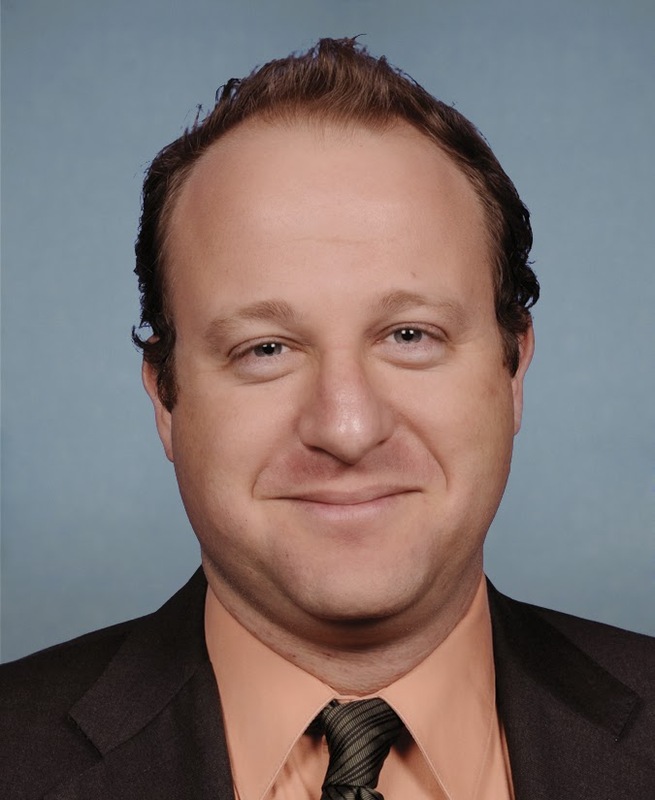 Jared Polis is a winner today. He agreed to a “take it or leave it” compromise, which was rejected, and he has the money to get on the ballot and run a campaign. He argues that his initiatives are popular and will connect the party to a popular issue and passionate constituency. Ironically, Polis helped create the modern Colorado Democratic Party. But his ballot strategy is seen as divisive in a difficult election year. A Democratic governor, U.S. Senator and control of the State Senate are at risk. If they lose, he loses. In a significant political turn of events, the latest Quinnipiac poll shows Colorado’s two top Democrats are now running behind their Republican opponents. The biggest surprise was Governor John Hickenlooper, who by conventional wisdom was near certain to win re-election. He is now trailing Republican Bob Beauprez. Two of Washington’s top political handicappers – Charlie Cook and Stu Rothenberg – had the race a toss-up, even throughout most of the forecasters using historical political data thought the blue hue of recent elections offered Udall a cushion. But, as the election draws closer, polls begin to tell the story. Udall is now behind Gardner and many of the internal figures are not promising. Colorado politics is volatile and it’s reflected in the polls. The next three months will likely see many changes of position, but, as of July 17, Colorado is in for a first-rate contest. For a guy who hates to lose, John Hickenlooper has had a bad couple of weeks. 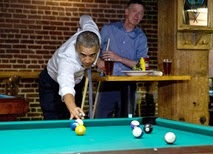 First, he gets his clock cleaned in a couple of pool games with President Obama. And then, in a poll in the field one day later (Quinnipiac, 7-10 to 7-14), he drops four points in approval in four months and loses his first poll since breaking out of a multi-candidate mayoral field at the start of his career in 2003.
at Wynkoop Brewing Co. July 8, 2014. Unpopular presidents cost fellow party candidates votes. But, Hickenlooper and the Democrats have also contributed to their own demise. The Quinnipiac poll showed guns in second place from a much lower position in an earlier poll, no doubt due to the Governor’s failed apology to County Sheriffs and the kerfuffle it raised. Hickenlooper never fully recovered from the runaway 2013 legislative session, which he became fully identified with bill signings and his failure to use the veto. His futile effort to reach a compromise on fracking to avoid a public fight highlights a divided party. One figure that must cause the Governor’s campaign pause is that his signature issue of the economy was not helping him, in spite of some increase in voter satisfaction with it. Given these poll results and Senator Udall’s gyrations to avoid the president don’t expect another visit before November 4. In the close fight between Congressman Mike Coffman and Andrew Romanoff, immigration reform is garnering attention. The Denver Post’s Kurtis Lee (who is about to become an online and multi-platform reporter for the LA Times) provides an in-depth analysis of how the candidates are maneuvering on the issue. Immigration is a complex issue for both parties. Although the public, in general, prefers reform – that is, a path to citizenship with conditions – significant factions within each party have their own agendas and can be highly disruptive. Also, events, such as a in the children on the Mexican border, can create very uneven ground that is hard to maneuver. Coffman’s challenge is to hold his base while attempting to adjust to the new reality of his more liberal and minority populated district. Romanoff must deal with his past pragmatism. The public seldom lists immigration reform as a top issue, but candidates of both parties are vulnerable if they don’t show concern and reasonable sounding solutions. A July 11th LA Times article by Maeve Reston describes in considerable detail the Democrats’ strategy to save Mark Udall’s senate seat. Two key elements are the Bannock Street Project ($60 million), which will attempt to raise the turnout of women (especially single), minorities and 18 to 29 year olds. It’s named for and following Michael Bennet’s 2010 re-election strategy. Secondly, wedge issues, such as reproductive rights (e.g., subsidized and free contraceptives), will be used in a targeted fashion to motivate turnout and to increase the Democratic vote share among women. Republicans, such as Cory Gardner, counter with their own positions on women’s reproductive issues and argue that they’re reasonable and open to discussion. Gardner’s most dramatic action to make that point was to shift his position on Colorado’s “personhood” amendment. The essence of the Democratic strategy in Colorado and elsewhere is the argument that their opponents are extremists. Udall’s team clearly believes he is endangered and must use the best items from the 2010 campaign, even if they are among the most obvious and ubiquitous tools in the Democratic playbook. I predicted Cleveland as the GOP’s best political choice in May, mostly due to the battleground status of the state and its position in the economic heartland that is still struggling. If their nominee can move the region’s voters, they could win the White House in 2016. 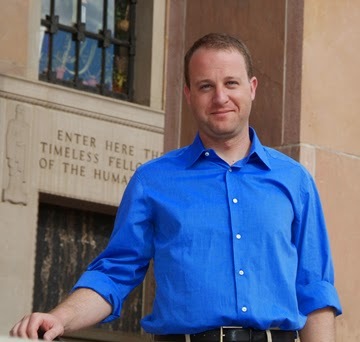 Jared Polis is listed as a 10-to-1 likely winner in ColoradoPols.com byline – and he probably is. But, Polis was just called a “renegade House Democrat” in Time magazine, the most recent installment of an ongoing narrative of the possible damage his ballot initiatives will cause Democrats in November. Polis has angered so many voter groups that rumor has it he’s going to have to run a re-election campaign. The Second Congressional District was redesigned in 2011 and is not as liberal as the old Boulder-based mountain district. North Front Range’s Larimer County now provides more than half the votes and the county in an off-year election can swing Republican (Ken Buck nearly carried it in 2010, while Gessler, Stapleton and Suthers beat Democrats). Polis’ specific problem in 2014 is that he has decided to become a high-profile, anti-fracking activist. It has angered most Republicans and conservatives. Not new opponents of Polis, but they are joined by some regular Democrats who see him as extreme and damaging to Governor Hickenlooper’s and Senator Udall’s re-elections. Also, Polis’ talk of a compromise with pro-fracking forces angered extreme environmental groups, especially in Boulder. So, as of today, Polis has become a top target for conservatives, he looks like an extremist to independents, and has angered his base Democrats and environmentalists. Fortunately for Polis, his usual solution to election challenges is to spend whatever it takes to win. He contributed $7 million to win a primary in 2008 and more than $300,000 against a far right candidate in 2012. He will likely spend at least as much if necessary today. A new Colorado State government study states there are about 100,000 very stoned Coloradans. They are the approximate one-quarter of the pot smoking population and they account for two-thirds of the 130 metric tons of annual demand of marijuana (130,000 kilos, or about 286,000 U.S. pounds, or roughly two U.S. pounds a year per heavy user). There are nearly half a million Coloradan marijuana users (use substance once a month), but most of them are casual users. Colorado was predicting $35 million for the first six months of 2014 in tax revenue, but has only collected $15 million because most sales are still taking place at medical marijuana outlets. This is the beginning of a long story on Colorado’s experiment in drug legalization. We are likely to hear much more about the 100,000 heavy drug users. Colorado’s environmental lobbies and professional networks have dominated the state’s energy agenda, with few setbacks since the 2004 ballot victory setting the country’s first vote mandated statewide renewable energy standards (RES). The RES strategy is brilliant in that the cost, which is essentially a subsidy for renewable energy, is not treated as a tax, but a rate hike absorbed by the utility and passed on to ratepayers. It is easy to blend in with the often variable energy costs that are reflected in utilities bills. Former Governor Bill Ritter, with a few other political constituencies, and little experience in business or energy, adopted RES as the administration’s paramount mission. He began the march that has taken the initial standard from 10 percent in 2014 to 30 percent and 20 percent for rural areas adopted in 2013. Also, he significantly changed the process and standards for approving gas and oil drilling. 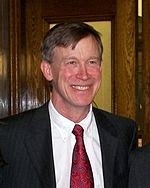 Governor Hickenlooper, less enamored with raising renewable standards and without control of the State House, didn’t have to deal with the issue his first two years until the aggressive Democratic-controlled 2013 legislature. A long simmering war between big co-ops and the environmental community was won when the Democratic legislature passed and Hickenlooper signed a 20 percent standard for the state’s major rural and suburban energy provider, Tri-State. The rural reaction was swift and noisy. A secession movement in eleven counties got national attention, and when combined with plummeting polls for the governor and legislature, it signaled the RES expansion was putting Democrats on the defensive. But, the environmental community is now part of an “all in battle” against a united business community and much of the Democratic Party establishment to limit, and preferably shut down, Colorado gas and oil development. They have committed their reputation and resources to a November 2014 initiative fight. A decade of dominance is now at risk. Lose these initiatives and expect more resistance on the renewable strategy. Lose Hickenlooper and expect reversals. Polls 16 weeks before an election and 14 weeks before early voting do not predict an election outcome. And, the number of recent polls in Colorado, especially the governor’s race, are few, but using the Real Clear Politics average show Senator Udall up by one percent and Governor Hickenlooper up by four percent. The forecasting power of polls does tend to increase with the size of the lead and time before voting. In both of Colorado’s major races, using the New York Times polling model, the conventional view is affirmed. Udall has a micro advantage in a race too close to call (55% likely to win) and Hickenlooper still has the advantage (89% likely to win, which means that with a 4% lead 16 weeks out, a candidate has an 89% chance to win). Of course, the most recent poll that places Hickenlooper in a dead even race raises the possibility that the next round of polls could change the forecast. The New York Times forecasting model has control of the U.S. Senate in a near statistical tie, with the Republicans having a 54 percent chance of winning at least six seats necessary for control. The major forecasts tend to show the Colorado Senate seat a toss-up, but at least two – Rothenberg and Sabato – still have it leaning Democrat. Forecasting began last fall and early this year, primarily examining historical election data and national polling results, such as President Obama’s approval. This spring pundits have added whatever local poll data was available. Some also rate the finances of each candidate and some indicators of campaign and candidate quality. Cook and Rothenberg tend to be handicappers and examine each race individually, with subjective judgment involved. Sabato both handicapping and forecasts; i.e., uses an algorithm. President Obama came to Colorado to help Mark Udall. 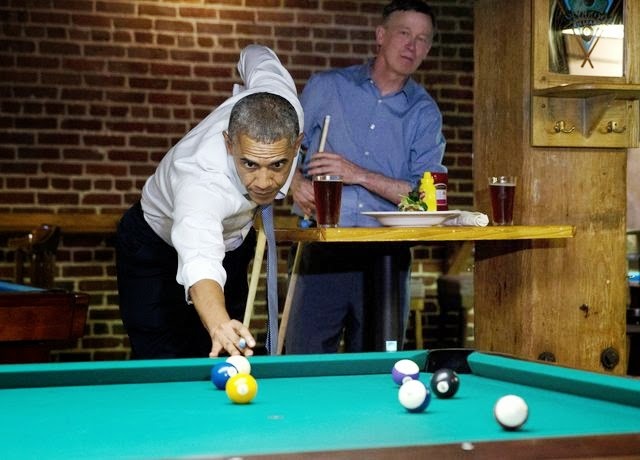 Obama has had his moments in Colorado. His 9-point win in 2012 was a Democratic record in a state that usually goes Republican at the presidential level. Although Bill Clinton eked out a modest win (6%) in 1992 due to Ross Perot (he received 23% of the vote), the only Democratic winner since Harry Truman in 1948 was Lyndon B. Johnson in his 1964 national post-assassination sweep. But, the heady days are over. Obama was no help to Colorado Democrats in 2010. His 2012 re-election win was more modest and his approval has since collapsed here as it has nationally. Obama has a low 40 percent approval with a mid-50 percent disapproval. Although Udall and every incumbent Democrat are trying to run as an independent, basically, no Democrat running for federal office can separate from the President’s popularity or the national economy. Elections today are so nationalized that the help or hindrance Washington provides can overwhelm local election factors in close races. So the question for Udall and Democrats becomes how to benefit from the President while reducing the downside exposure. The election is 14 weeks away before early voting in mid-October. Have him come early and stay away after Labor Day. Obama still can raise money from wealthy liberals, federal lobbyists, lawyers and the party’s major interest groups. Have him raise money at a private party. Turnout is the key to the Democrats surviving the election, and Obama is still the best positioned at motivating the Democratic Party base. (1) Women, especially single and well-educated. Hit reproductive rights and Hobby Lobby case; (2) Hispanics and immigration. Blame the Republicans for inaction and express humanitarian concerns; and (3) African Americans. Focus on voting rights and income inequality. Most importantly, tout the latest jobs report and hope the economy is getting better. The party base and independent voters want that to happen. Under all conditions, avoid a photo, a tarmac greeting or rally. Congratulations to John Andrews and Bill Armstrong. Their Western Conservative Summit has been growing with each annual event and is now positioned to track what may be a very good Republican political year in Colorado and the U.S.
It’s also a jumping off idea factory for the 2016 presidential race. Impeachment is a really dumb idea, but Sarah gets a headline. Obama will just become a victim and Republicans will get tromped in the latest version of a no-win government shutdown. Senator Mark Udall’s strategy of avoiding a position on the Keystone Pipeline becomes increasingly difficult as the pipeline’s support is repeatedly reaffirmed and reported in Colorado polls. A new Rasmussen poll showed 63 percent of voters support building the pipeline, along with the senate race as a dead heat between Cory Gardner and Udall. Also, Udall has been advised by Bill Clinton to embrace the Affordable Care Act. A likely poor idea since it is seen unfavorably by 58 percent of Coloradans with only 39 percent favoring. Although political forecasts appear to lean against the Democrats in November 2014, there will be survivors. Examining national and state-level polling data shines light on some factors and actions that may give Democrats hope. Recent polls published by Real Clear Politics show, for example in races with three or four reasonably reliable polls, vulnerable Democratic incumbents are ahead in Arkansas and North Carolina. Republicans are only ahead in Louisiana and West Virginia. Notice McConnell is in a very close race. Udall’s race is a tossup. Senators in competitive races are ignoring Obamacare. The number following Bill Clinton’s advice about embracing it is nil. But, they are finding programs to support that they think put their opponents on the defense, such as Social Security and Medicare. While President Obama’s approval is in the low 40s, it may not translate directly to benefit Republicans. The Republican Party label is rated well below Democrats. Currently, Democrats have a one-point advantage in the generic ballot test, reflecting that the President’s troubles are not yet damaging Democrats. Republican incumbents, like Mitch McConnell, are struggling against the image of the Washington establishment as much as any Democrat, and while it is unlikely that the “throw the bums out” mood will truly harm many incumbents of either party, very few feel safe. Although there is no clear edge in the polling that is favoring the Republicans today, there could be a late wave that reinforces the Republicans’ midterm turnout advantage. Which Democrats survive will likely depend on their fighting to the last moment. Bob Beauprez, benefitting from the publicity from his June 24 primary win, is off to a good start. The latest statewide Rasmussen poll (robo poll) indicates the race is dead even – 44 percent to 44 percent. 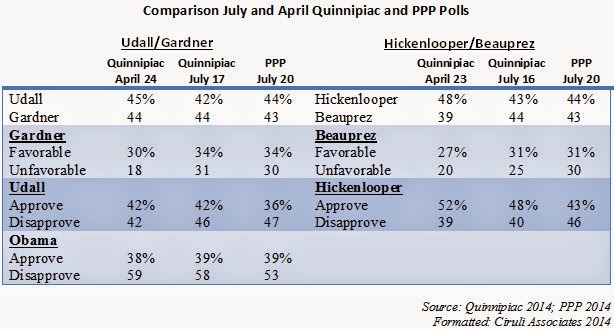 Polls up to this point have positioned the race in favor of incumbent John Hickenlooper beyond the margin of error against his pre-primary field of opponents (48% Hickenlooper to 39% Beauprez in April 21, 2014, Quinnipiac). Additional polls will need to be conducted to affirm the Rasmussen results, but, if the next round of polls have it close, the race would need to be moved from lean Democratic to toss-up. His selection of Jill Repella, a well-regarded Douglas County Commissioner, puts an educated suburban woman on the ticket. It is the swing demographic Republicans will need if they are to win the race. The Republican team of Gardner, Buck, Coffman and Stapleton should make a joint contribution to get-out-the-vote. One question is can the momentum help pull the State Legislature into the Republican column? Finally, President Obama continues to sink with the latest headlines from a Quinnipiac survey declaring “Obama as Worst President since WWII.” How much the President’s problems hurt Democrats is still open, but then can’t help. Beauprez’s first impression will be important, and Democrats will try to disable it as best as possible (see revival of 47% story). So, it will be a long four months and much can change, but, as of today, Governor John Hickenlooper is in a tough race. The Republican primary of last week highlighted a few odds and ends of political detritus that are worth noting. Guns remain a toxic issue in Colorado. Although Bob Beauprez, Doug Lamborn and Ken Buck survived attacks over their alleged softness on the issue, there were Republican primaries won by candidates who highlighted their pure fidelity to gun rights. Democrats are even more fearful of the issue given it cost them three state senators. Governor Hickenlooper’s latest bout of foot in the mouth was directly related to his effort to lower the temperature on the issue. Good luck. Gun control advocates just pulled a state ballot initiative banning guns on campuses because its Democratic allies fear the issue will hurt their candidates in the fall legislative elections. Immigration was not an important wedge issue in the Republican primary. Most Republicans are obviously concerned about border security, but beyond the 100,000 Tancredo voters, who probably believe all discussions about a path to citizenship is amnesty, most Republicans recognize something should be done for the good of the country, all the people involved, but also the party and its candidates. A poll conducted by Republican pollsters/consultants last month showed overwhelming support for a solution. A national poll our firm conducted with Public Opinion Strategies confirms that, with sufficient protections and conditions, 60 percent of Republicans accept immigration reform. Even Tom Tancredo avoided the issue as part of his strategy of lowering his vulnerability and edgy profile. The anti-fracking forces took their first major loss, although it was an election Republican turnout dominated. But the Colorado November midterm election will look more like a closely balanced partisan election than the huge Democratic voter turnout in the President Obama elections of 2008 and 2012. “The upshot here is the business community is going to be even less inclined to come up with a compromise. I think their confidence level is going to go up substantially,” said political observer Floyd Ciruli. Even so, Ciruli said the Loveland vote is probably a better harbinger of how a statewide measure would fare than November’s anti-fracking votes in left-leaning Boulder, Broomfield, Fort Collins and Lafayette. Should Doug Lamborn start thinking about his next job? When a four-term incumbent only wins by 52 percent among El Paso County Republicans (some Park, Fremont and Chaffee voters), it appears the job of U.S. congressman may not be the best long-term career. Lynn Bartels’ and Joey Bunch’s report on Hickenlooper’s“quirky image” being a campaign asset andReal Clear Politics, 6-28-14). Ciruli: Electable GOP Team Rises Out of Sleepy Race. Guest Opinion, Denver Post, 6-28-14. “Both the smooth transition of Cory Gardner from Congress to the Senate race (without a primary) and Bob Beauprez's late entry into the governor's race — and his resulting victory in a four-person field — show that the Republican establishment rank and file is back,” writes Floyd Ciruli in a Denver Post Sunday political analysis.